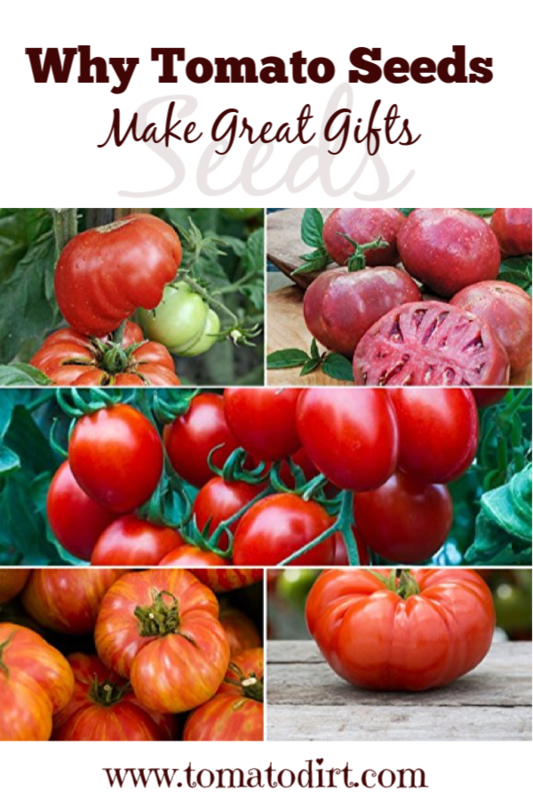 Tomato seeds are great gifts for gardeners! Can there be a more perfect way to anticipate the upcoming growing season? Seeds represent new life and new hope. Uniqueness. In giving tomato seeds you demonstrate thoughtfulness. The person you’re giving the gift to loves gardening. You’ve observed that passion and demonstrated creativity in choosing a gift to allow her to enjoy it. Variety. When you give seeds, you offer the opportunity for the gardener you love to try a different variety – one he may have wanted to try and has not or even one he may not have ever considered. Convenience. You can order tomato seeds online. Cost. Nearly all tomato seeds are cheap! Some varieties are rare and naturally more expensive than others. You can buy one packet, several, or even collections. Versatility. 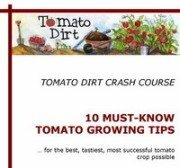 Tomato seeds are ideal stocking stuffers and easy to mail. Plus, when you give tomato seeds, you open up a range of additional giving options like potting mix, seedling trays, heating mats … a whole host of additional seed starting products. The most difficult decision you need to make is not whether or not to give the gift of tomato seeds, but rather what variety (or varieties) to choose. Tens of thousands of varieties beckon. Is she a beginner? Choose popular seeds that have a reputation for being easy to grow. Has he grown tomatoes for a few years? It may be time to try a new variety. Is she an old hand? This is an opportunity to try a rare or unusual type of tomato. Stop in or call a local nursery or the extension office and find out what tomato varieties grow best in your gardener’s area. If you’ve noticed neighbors’ tomato plots, then pop over for an unobtrusive visit and find out what varieties they grow. The required federal germination rate for commercially-produced seeds is 75%. A percentage of seedlings may be lost even after healthy germination. Even so, most of the time gardeners err on the side of starting too many plants, not too few. Calculate how many plants your gardener can reasonably use and give away to friends. For the average gardener, you likely will not need to buy in large quantities, especially if you’d like to give more than one variety.